We serve mainly International Language students (I-20 visa holders). Our program is designed for students from ages 10 to 14 years old, with Homestay options. Our program is a 1-year "Bridge Program" consisting of 4 terms (Fall, Winter, Spring & Summer). Each term lasts 3 months and includes 10-weeks of academics, cultural trips, and English Language development. We can accept students in each term. Each term we provide a 2-week break for optional trips around the US (i.e., San Francisco, Washington D.C., Hawaii). 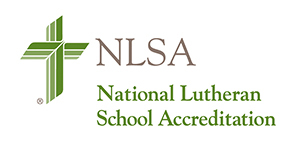 At the end of the 4 terms, students can be placed into our Concordia Educational system, consisting of more than 2100 Lutheran schools in the USA. We are a private school, with certified US teachers and a 15:1 ratio (student to teacher). This is NOT simply an ESL School. Students will receive grades, be assessed, and learn curriculum approved by the U.S. system of education. All international students will interact daily with Americans, in a Native-Speaking English environment. We offer shorter camps over the summer and during the holidays for groups of students (both local and international). These camps are non-academic and do not provide testing, grades, or specific academic training. We are located in Southern California, about 8-minutes from Disneyland, 40-minutes from Los Angeles, and 15-minutes from the beach. We value your partnership and want to provide a loving & caring environment for your child!